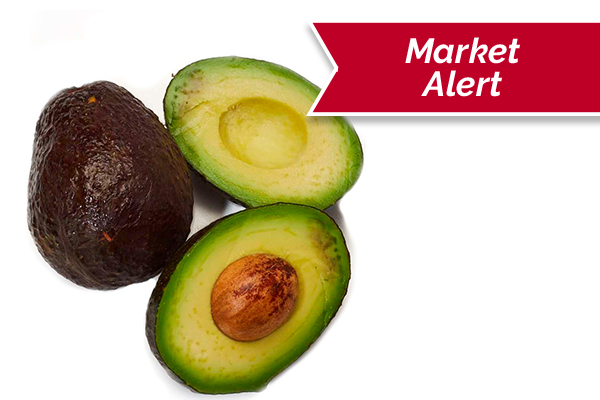 Avocado prices in Mexico have increased sharply in the last 10 days. The seasonal volume decline has begun earlier than expected. We foresee prices to continue to rise over the next 8 to 10 weeks. The upcoming California and Peruvian crops do not equal enough volume to fill demand. Demand far exceeds supply. Cinco de Mayo is 4 weeks away. Holy Week (4/14 to 4/20) is less than 3 weeks away and will cause a 4-day harvest gap during the Cinco harvest pull. Thank you for your continued business and understanding during this extreme avocado market.